Say bye to the old blue facebook! and say hi to the new pink facebook! Change your facebook color or layout themes, GET IT FREE! 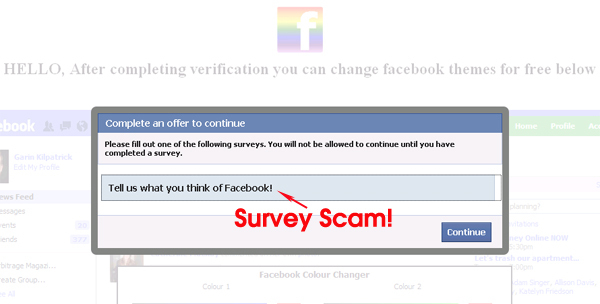 here : http://apps.facebook.com/…..
Clicking the scam link prompts you to install a rogue Facebook application. Anytime the URL starts off with apps.facebook.com/app_name_here, you should know that Facebook didn’t develop the app. Scammers often try to trick users by promoting apps promising Facebook features, upgrades, etc.